So today I'm going to be sharing what I got in my recent Graze box with you guys. 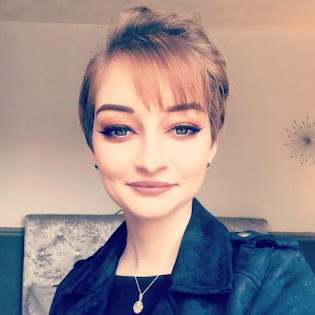 So I was so happy when this arrived on my doorstep on Saturday as the packaging just made me so excited, I know that's weird but it's much better than a plain box. 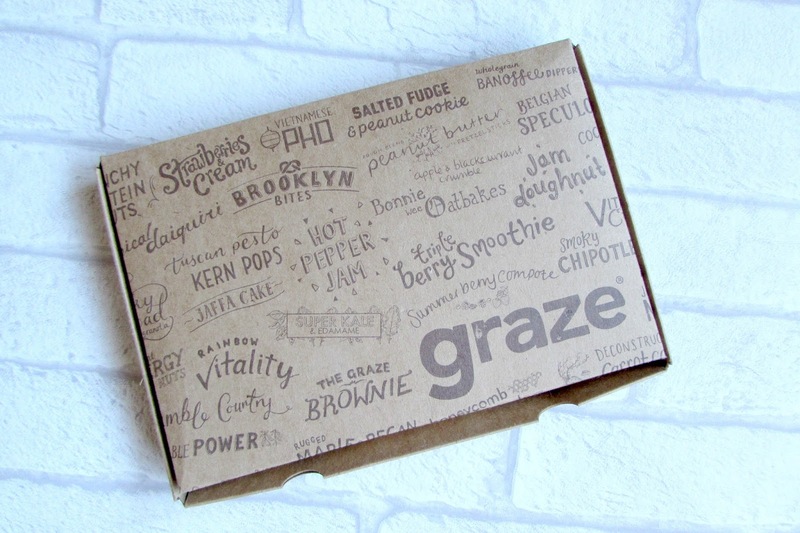 I'm still having the Chocolate box as I feel it's better suited for me and I know the snacks will get eaten if I stick to this subscription. 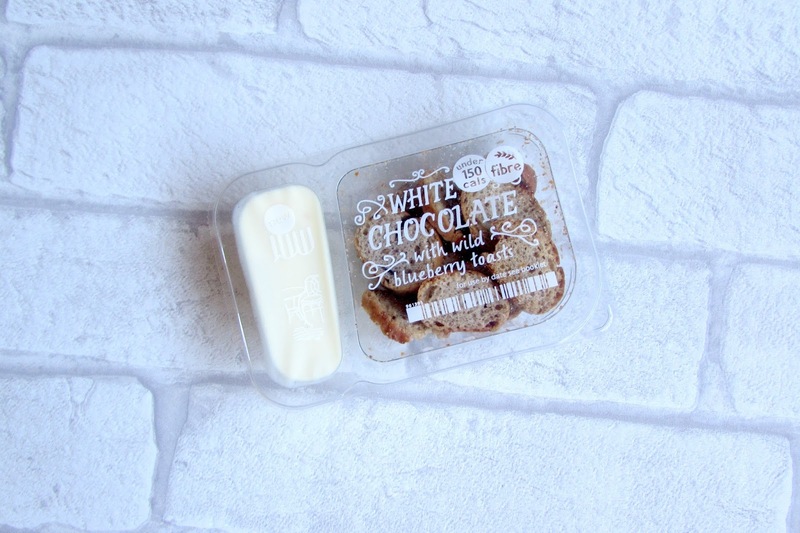 The first thing I received in my Graze box this time was the blueberry toasts with a white chocolate dip, I've had these before and I literally loved this the last time I got it as it's so tasty and I really enjoyed them. The white chocolate is so nice and compliments the blueberry toast so well so I'm definitely going to enjoy eating this when I do- I'm so excited! The next thing I received was the camp fire s'mores which I'm so exited to try this! 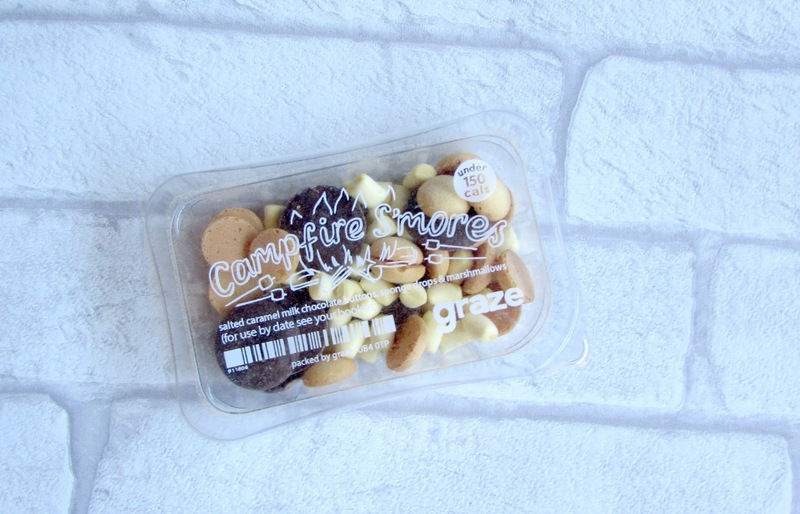 It has salted chocolate buttons, Marshmallows and sponge drops which this sounds so nice to eat and I feel it will stop my craving for chocolate when I'm at work so I thought I would give this a go next time I'm at work for a snack and see what I actually think of it. The next thing I received in my box was the chocolate pretzel pop which again I'm so excited to try as it has pretzels, pop corn and milk chocolate drops. 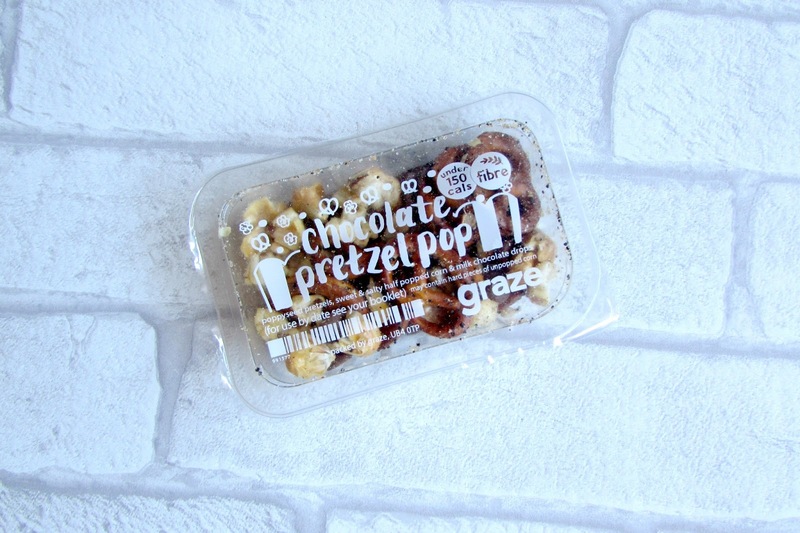 I'm not sure if I will really enjoy this as it's savoury and sweet but I feel I will enjoy this as I love pretzels and pop corn so I'm looking forward to see if I do enjoy this or not. 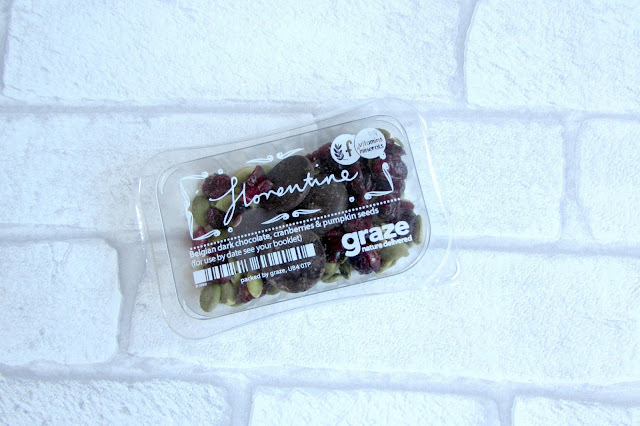 The last thing I received was the Florentine snack which consists of chocolate, cranberries and pumpkin seeds which I really think I will enjoy this as I love everything which is in the box so I feel I really will enjoy this snack and I'm looking forward to eating this. Have you subscribed to Graze yet?